It’s been a while since I’ve been on a trip but, after a year of waiting and planning, I’m a couple of weeks away from going to Brazil for the World Cup (hence the current header picture for the site). 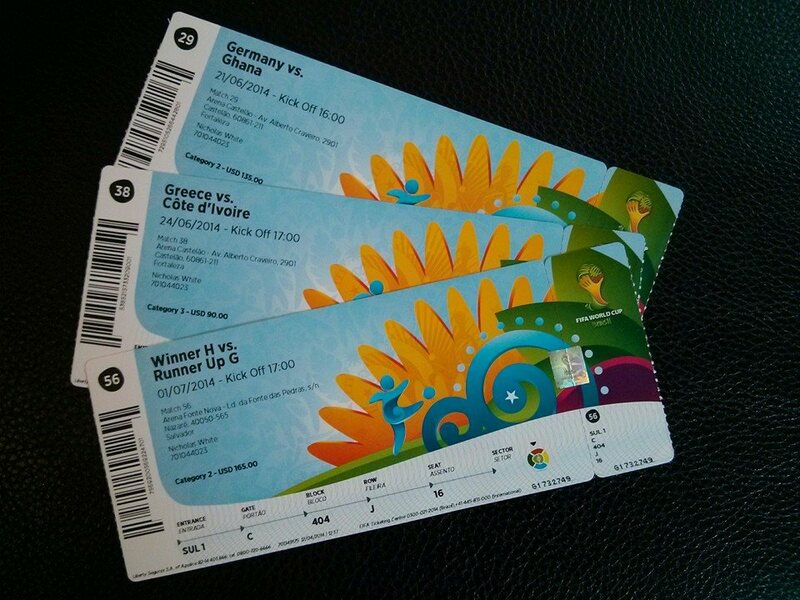 This is two life wishes in one strike, see some of South America and attend a World Cup. South America, a great undiscovered (by me) continent with so much to see and enjoy. Admittedly Brazil is so big and not a fair representative for the continent but I’ve got to start somewhere. Plus the World Cup transfixed me as a kid. I was hooked by the 1974 and then 78 tournaments, the far away places, the unknown nations, the wildly different football styles and the stars: Cruyff, Muller, Kempes, Ardiles, Gemmill…a list that can go on and on. A great way to be taught that the world was a bigger and wilder place than perhaps I’d realised…and that it didn’t end at the bottom of my street! So when a couple of old college friends asked if I wanted to go see the world cup, the answer was obvious. A leap of faith perhaps but to be at a global celebration of the game and in it’s spiritual home…could the overgrown kid in me ask for more. And now we’re two weeks away and though I’ve been getting ready for a while, doing little bits of preparation along the way, there still seems to be a lot of unpreparedness. But I’m coming, ready or not, to see the Joga Bonito in the land of samba, soccer and a ton of other things I’m about to discover.